What do the Mobius Loop and Recycling have in common? The Mobius loop is the unfamiliar name given to the familiar symbol. 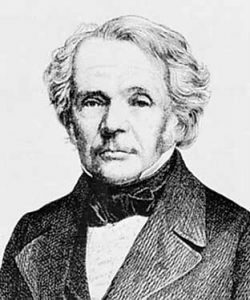 Invented by mathematician and astronomer August Ferdinand Mobius in September 1858. 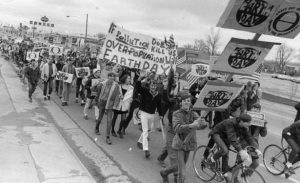 In 1970 the first Earth day was held due to the worldwide attention of environmental issues. CCA or Container Corporation of America (a large producer of recycled paperboard) sponsored a contest for art and design students at high schools and colleges across the country to raise the awareness of these environmental issues. Gary Anderson, a 23 year old college student won the contest with his design – the concept of the Mobius loop at the heart of it. 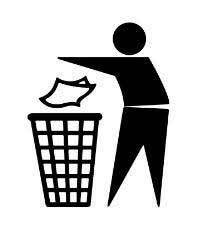 This symbol is now the image we know universally as the recycling symbol. The symbol is composed of 3 arrows looping back on themselves in clockwise direction. This indicates that a product can be recycled but not necessarily that it has itself been produced from recycled materials. There are many variations of ths symbol now as it was never trademarked and is public domain – these symbols can indicate a different degree of recyclability. Here are a list of the symbols and their meanings. Mr Gary Anderson was recently involved in judging a symbol contest for a company called Cereplast. When asking Gary which Superhero he would most likely be he answered ‘I guess it would be “Recycle Man” with the recycling logo on his jersey, whatever that is that superheroes wear or tattooed to his chest or something I don’t know. He would, or she, maybe it’s “recycle lady” or “recycle woman” would fight wasteful practices and nurture an appreciation of sustainability. Cereplast produce bio based material which is degradable and non toxic to the environment. This symbol will be printed on plant-based products created by Cereplast. We are excited to be part of this every growing and crucial industry of recycling and finding new ways to make products environmentally friendly. These icons that were once an idea with humble beginnings that are now recognised worldwide are indicative of the way human beings need solution, we need to make sense of the mess and sometimes a small symbol can go a long way. If we could all become the recycling superhero’s of this time when it is so needed! Reduce, Reuse And Recycle.